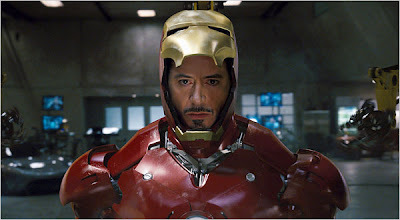 Robert Downey Jr is a phenominal actor and has perfectly filled the role of Tony Stark. The future of Iron Man is safe with RDJ in the lead (it helps to have Jon Favreau directing too). Robert Downey Jr will be stepping back into the Iron Man suit next year after he finishes filming for Guy Ritchie's Sherlock Holmes, but after that RDJ is slated to suit up once more for Marvel's team film, The Avengers. RDJ, who is hotter than grandma's biscuits at Thanksgiving Dinner, recently spoke with MTV about how important the Avengers film is to Marvel. 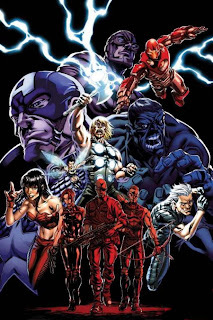 I hate to think just how bad the Avengers could possibly be. Anyone remeber the Captain America movie from 1990? At least it wont be anything like that dribble. Alot hinges on the casting of the next two Marvel characters in the works, Captain America and Thor. If Marvel moves ahead with strong castings that match Robert Downey Jr. and Edward Norton, I think were in for a superb film. There is that chance that Marvel just goes after the latest heart-throb (cough-cough....Channing Tatum) and we will definately be in for a world of hurt when the Avengers finally releases come 2011. Iron Man has been a enormous success for Marvel and RDJ knows it is important to keep his character centered as the rest of the team is assembled. Downey Jr said, “I think its important that I do what I’m supposed to do which is keep my side of the street clean." Continuing Robert Downey Jr said, “The danger you run with colliding all these worlds is [director] Jon [Favreau] was very certain that ‘Iron Man’ should be set in a very realistic world. Nothing that happened in ‘Iron Man’ is really outside the realm of possibility. Once you start talking about Valhalla and supersized super soldiers and jolly green giants it warrants much further discussion.” Clearly, RDJ has some doubts about how much fantasy will be involved in The Avengers.